When planning your event it’s always best to take the course of least resistance on your time and budget without compromising the tone and ambience of the event. The first and foremost step in planning is establishing the theme, activities, date and ideal location. Regarding establishing the date for the event, choose a date that gives yourself plenty of time to plan, organize and manage the event. If you have little time to work with solicit the help of experienced event planners who know how to work under tight time constraints. Gather your planning committee early. Hold a motivating meeting and have prearranged tasks and deadlines for each department. You'll benefit from a wealth of time saving suggestions that will get the ball rolling. Appoint those who are most time efficient as key personnel for immediate follow thru on suggested action items. Once you have put together your guest list it’s time to give more thought to the menu. Write down your initial thoughts regarding hors d’oeuvres, drinks, the main course, desert and party favors. Keep in mind that some will be allergic to nuts, soy and food additives such as sodium, and glutens. Nothing is more crucial to a successful gathering than the timely delivery and reply of invitations. The best time to send out invitations is at least four weeks prior to the event. Most invitees will RSVP within a week or two. For those who have not responded, send out a final reminder via email, phone call or postal mailing. Sending out invitations is easier than ever. For family gatherings in the home and other less formal gatherings a quick list of invitees can be drawn up and these can be contacted by phone. Fimark's Family Reunion Planner Social contains an event creator that sends out invitations to selected Facebook users and email contacts. It includes and RSVP report and list of invitees interests and demographics. If you’re using a public or private facility such as a reception hall and your inviting seniors, determine the convenience of wheel chair access and van drop off points available. Sit seniors closest to emergency exists and pickup points. Take into into consideration the location of the lobby and restrooms when preparing your seating chart. 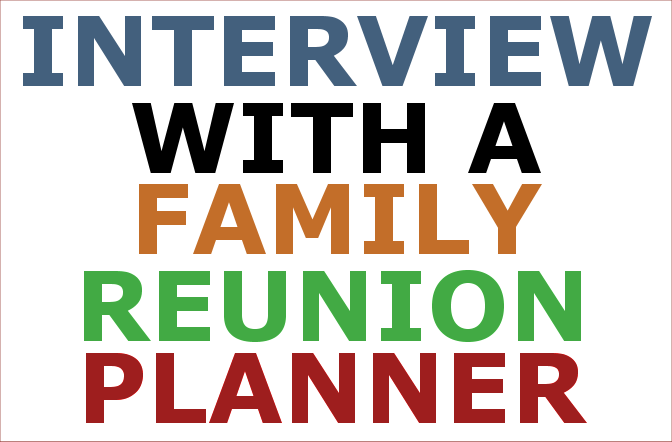 Fimark's Family Reunion Planner Social includes a reception hall floor planner ideal for creating seating charts and designing a floor plan that's most compatible for your entertainment, program of service and serving.